Attorneys Ross Garber and Ed Greim were hired by former Gov. Eric Greitens to represent him "in his capacity as governor." The chairman of a Missouri House committee that investigated former Gov. Eric Greitens doesn’t want the state to pay for his lawyers. Greitens hired attorneys Ed Greim and Ross Garber to represent him in his official capacity as governor. When questioned under oath by the House investigative committee last month, the two confirmed that they were billing the state for their services – Greim was billing the state $340 an hour, while Garber was billing $320 an hour. Committee chair Jay Barnes, R-Jefferson City, is asking administration commissioner Sarah Steelman to not pay Garber and Greim for their services, which he says totals $153,300. He also said the hiring of Greim and Garber violated state law, an argument supported in letters issued last month by Attorney General Josh Hawley and state Auditor Nicole Galloway. Steelman could not be reached for comment. But Greim responded late Tuesday in a written statement, saying that the OA commissioner "has a clear legal duty to pay our invoices." "Defending the [former] governor from the charges levied against him or serving as his personal or 'private' counsel was not our role, and anyone who claims to the contrary is intentionally misstating the facts," Greim said. "We know that Missouri stands behind lawful contracts, [and] we remain confident that cooler heads will prevail." 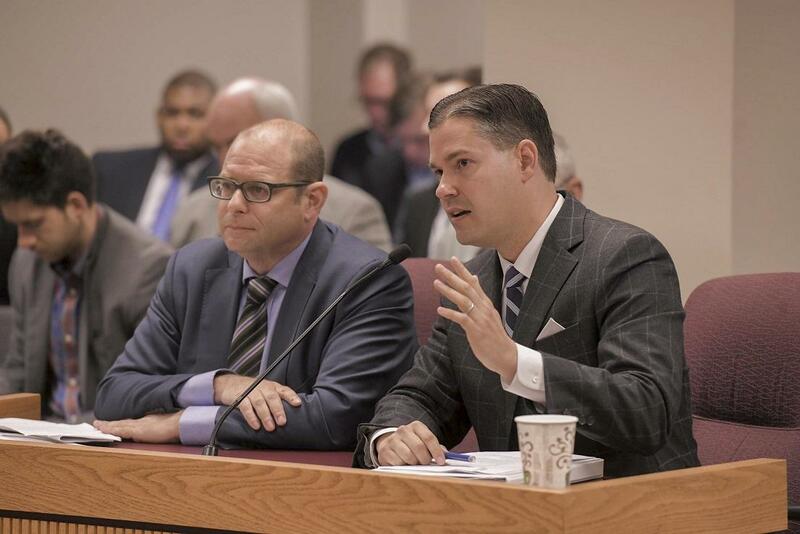 Garber and Greim had also pushed to add rules during the special session that would have allowed them to issue subpoenas and cross-examine witnesses on behalf of Greitens, but the committee rejected the idea. The status of the committee has not been announced since the General Assembly adjourned Monday. The Missouri House committee investigating allegations against Gov. Eric Greitens has rejected his lawyers’ request that they be allowed to cross-examine the panel’s witnesses. The committee’s decision Tuesday was aimed at preventing what one member called a “filibuster’’ by the governor's legal team in order to slow down their proceedings. The panel noted that the lawyers already had interviewed most of its previous and potential witnesses. The first open hearing of the Missouri House committee investigating Gov. 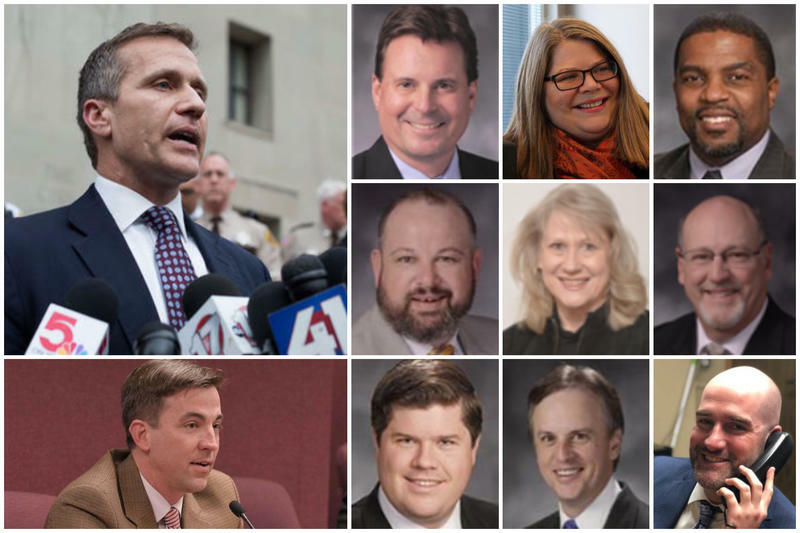 Eric Greitens featured some heated exchanges between members and the governor’s attorneys. Committee members heard from Ed Greim and Ross Garber, two attorneys hired by Greitens “in his capacity as governor.” They appeared before the committee Wednesday to propose several rules and a tentative schedule for the 30-day, special legislative session, which begins Friday at 6:30 p.m.